When a weekend in Vegas comes to a close, what better way to cap it off than with a little fun in the sun? Wet Republic is the pool to be at if you want to end your weekend with a splash. A handful of the world’s best DJs call the day club at MGM Grand Hotel and Casino home each and every Sunday. 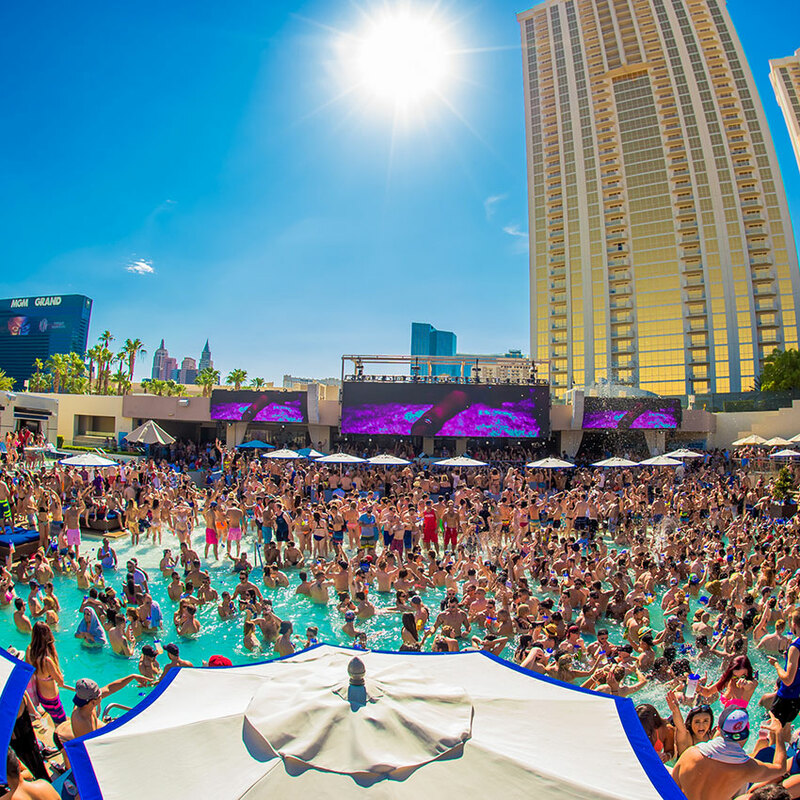 Here eight facts about the eight artists headlining the final two months of Wet Republic Sundays in 2015. 1. Afrojack’s fashion icon? A secret agent. In an interview with the Wall Street Journal, Afrojack stated that he one day plans on mirroring the style of Bond…James Bond. Clyde Narain is known to the masses as Chuckie. He told Forbes he earned that nickname by being a “little rascal” when he was younger. The inspiration for his stage name, he also added, came from popular horror flick “Child’s Play”. Full-time musician, part-time ninja? You could say that about Hardwell, who as a teenager, practiced judo in his free time outside of music. In 2004, Tiësto made history. He became the first DJ ever to play before an Olympic crowd, performing during the “Parade of Nations” in the opening ceremony of the Athens games. He’s only 19, but Garrix has lived and breathed music from an early age. The young phenom learned how to play the guitar when he was just 12 years old. 6. Where would DVBBS be if they weren’t musicians? Chris Chronicles and Alex Andre are two of dance music’s most successful acts. But if they weren’t DJs and producers, where would they be? In an interview with Vandalism Sounds, Chris stated that he thinks he would be playing soccer and that Alex would be working in movies. When he’s not spinning records at festivals or the world’s hottests clubs, the Bingo Players’ Maarten Hoogstraten can be found tied to a video game console. The Chainsmokers have released a steady stream of new music in 2015. There’s more to come, but not in the form of a full-length album. The American duo plans on continuing to put out their new tracks one by one, generating plenty of buzz through social media.